Here, Roberto shows us his latest build. It's a cuatro (a small traditional Latin American guitar-like instrument), but given a modern-day twist as a solidbody electric instrument. It's also a headless design with the tuners situated at the base of the body. Roberto has more pictures of the finished instrument here, plus photos of it during construction here. Also, unless I'm much mistaken, isn't this cuatro left-handed? 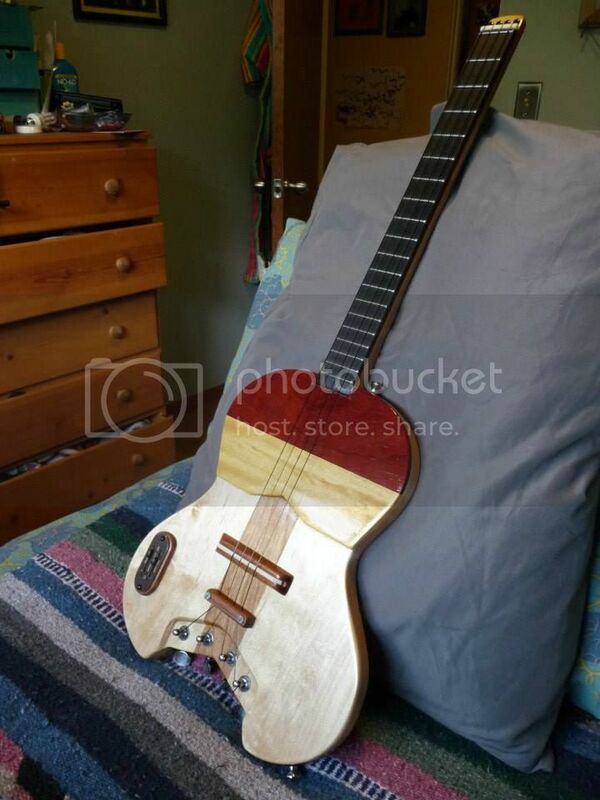 I believe this to be a venezuelan cuatro because it only has 4 (nylon?) strings as the puerto rican cuatro has 5 rows of 2 strings made out of stainless steel making it 10 strings. I agree. The only cuatro I ever saw had 5 double courses of strings.